From ‘listening’ tools that monitor employee sentiments to fun apps that engage workers through virtual games – hundreds of HR software platforms are built to foster a positive workplace culture. But none has a greater impact on HR’s ability to engage employees than an intelligent human capital management software. A company’s choice of HCM tools can shape employee experience especially when it comes to productivity, work-life balance, and fulfilment at work. 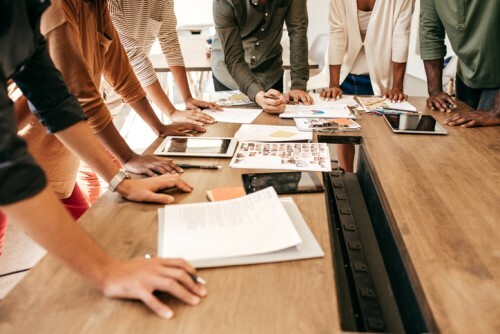 “While your culture definitely sets the tone for how people feel about and within your company overall, the HCM software you use has a major impact on employees’ day-to-day experiences and the work they do, no matter their individual roles,” Vivian Maza, chief people officer at Ultimate Software, told HR Tech News. Technology – like any tool – could never replace humans in engineering a great employee experience, but certain tools can clue us in on what employees really value. Putting “people first” means everyday HR tools are designed to enhance workflow, giving people more time for enriching activities, such as learning and development. “Your HCM solution should align with your culture and company mission,” Maza said. For HR professionals, an HCM platform should also serve as a business intelligence tool, not merely as a repository of employee records. A robust system offers a multitude of use cases to help drive the team’s vision, whether it’s automating time-consuming and complex tasks like payroll; facilitating an employee-surveying process with real-time results; or helping first-time managers become better people leaders with analytics and suggestions on how to engage with their teams, Maza explained. “It’s all part of a complete commitment to providing a caring and productive workplace for your people,” she said. This lets HR teams move away from transactional tasks and focus on strategy. “If a company says it’s committed to its people, one way to definitely ‘walk the talk’ and show that is to use a solution that works for their employees and helps them work more effectively and efficiently,” said Maza. Culture versus tech – which comes first?